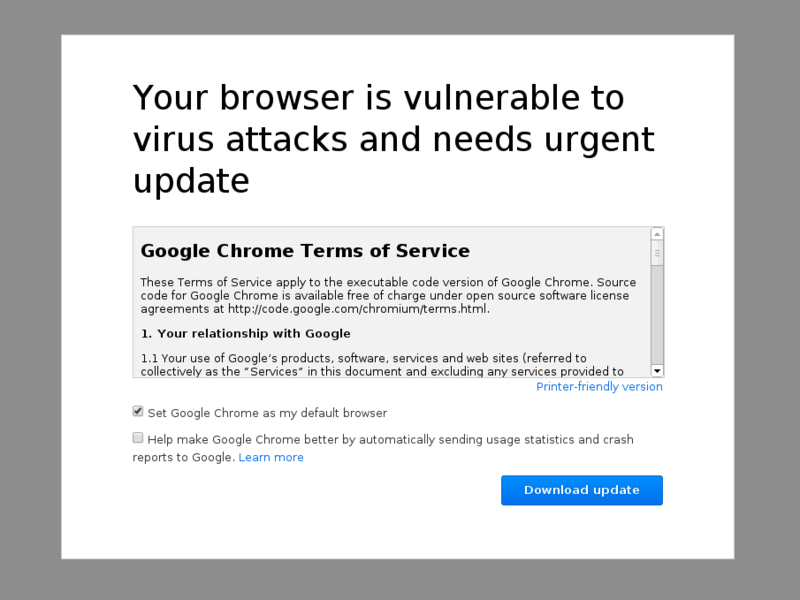 Through a friend of my I got to this seemingly fresh malware named GoogleChromeUpdater.exe. 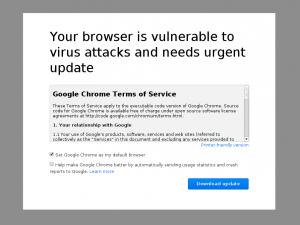 The page (URL see at the end of the post) claims to distribute a important Chrome Update. However, the malware encrypt files and left an E-Mail address, the classic file kidnapping along with blackmailing.